On his retirement, widower Paul Jenkins decides to live with his sister by the sea. But having moved in, the idyllic life that he has been hankering after is thrown into turmoil when he comes face to face with a burglar in the middle of the night. His impulsive reaction to the intrusion has disturbing consequences when he is confronted with some unsavoury characters. However, it is the dead that he has far more to fear from. 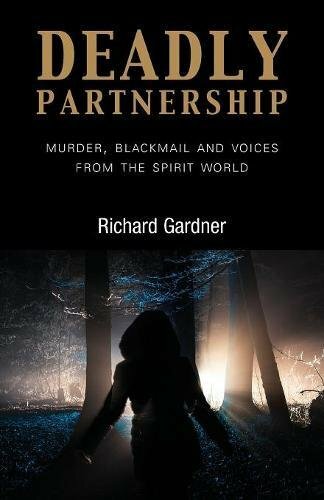 With a first chapter that reminded me of a Peter James book, Deadly Partnership grips the reader instantly and refuses to let go. I was left with my mouth agape at the end of chapter 1 as the scene was set for a thrilling read. I loved the way the characters were portrayed, although I didn't particularly like any of them. When I first read about Paul and his son, Gary, I felt as though Gary was taking advantage of his father's generosity by asking for more money to keep his business afloat. My feelings soon changed as things progressed, as it became clear that Paul remained in control of every situation he was put in. Paul plans to move in with his sister, Julie, who currently lives in the family home. When Julie becomes involved in spiritualist meetings, the resident medium warns her about letting Paul move in. Julie doesn't pay much attention to this warning and allows Paul and Gary to renovate the house, but Julie gets more than she bargained for when a restless spirit starts appearing. With some people willing to do anything to keep their secrets buried, will this spirit ever be able to rest in peace? The paranormal edge gave this thriller a little something extra and just shows that you might be able to fool the living but you can't run away from the dead. A hugely enjoyable novel that continued to surprise me at every turn.